Recently, Ripple’s CEO has made a request to cryptocurrency industry to work with regulators. On Wednesday, the Bitcoin price dropped to $10,000 post the U.S Securities and Exchange Commission told that it requires cryptocurrency exchanges to do the registrations with them. The statement of SEC follows weeks in order to control the rapidly growing cryptocurrency exchanges. Garlinghouse said, “There are a few in the Bitcoin community that encouraged not only the down by governments and banks if speaking in this regard.” Barad Garlinghouse ranks at 210 place in the Forbes’ richest Americans list and has a net worth of around $3.7 billion. Ripple (based in San Francisco) is a cryptocurrency that helps in making the network fast and financial payments globally. The digital token, XRP is used to make the transactions instantly. As per the Coinmarketcap data, on Wednesday, the cryptocurrency was trading at 88 cents and listed on over 60 cryptocurrency exchanges; however, even now it is not available on Coinbase (the renowned exchange of U.S). In this week, Twitter users and an article of CoinDesk have speculated that the appearance of Barad Garlinghouse on CNBC’s ‘Fast Money’ and Ariff Hirji (Chief Operating Officer and President of Coinbase) indicated that an announcement will be made soon. Then, Garlinghouse highlighted the Poloniex Cirlcle acquisition and even expected a lot of deals with the growth of an asset. 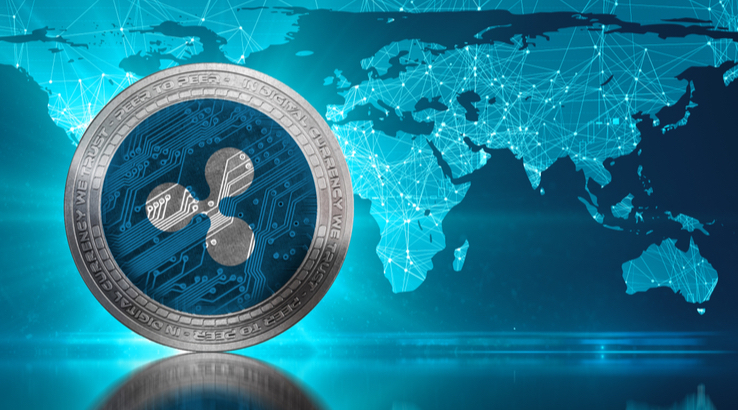 Continuing the discussion, Garlinghouse said, the company Ripple has a worth of $60 Billion of XRP that they are planning to invest again in the development of XRP. In the mid of year 2017, Ripple announced numerous financial firms that are testing the XRP usage for global payments.